In the year 1999, an alien battle fortress crash lands on an island in the South Pacific. Over the next ten years, mankind repairs and refits this fortress, using the advanced "robotechnology" found aboard her to create fighter planes that can transform into giant robots. As soon as the repaired fortress is ready for launch, the aliens to whom she belongs finally discover its location. Thus begins a series of wars that will devastate the planet Earth. This television series was created by Carl Macek from three Japanese television series, Super Dimensional Fortress Macross, Super Dimensional Cavalry Southern Cross and Genesis Climber Mospeada. An alien spaceship crash lands on Earth and the technology and secrets she bears lead Earth into three destructive interplanetary wars. It would be pointless to rehash the convoluted history of the Robotech franchise. How it began as 3 separate series edited into one and the ongoing love/hate relationship it shares with anime fans worldwide. One can read that up on wikipedia. This review is based on the version of Robotech featured on the "Protoculture edition" DVD set. It is the remastered version with all cut scenes of violence re-inserted. Split into three separate season, the creative team headed by the late Carl Macek did a tremendous job of crafting a coherent over-arching tale that links the separate source series together. If one did not already know that they were 3 separate series, one would be hard pressed to actually tell from the way the show was edited. Common themes of interracial conflict, tolerance, friendship, the virtue of peaceful co-existence and the futility of warfare run across the three sagas. That coupled with a memorable musical score and some very creative splicing serve to bind the three into one (which by the way is also a common theme running throughout the show)Contrary to popular belief, Robotech is not simply a cut-and-paste edit of Macross, Southern Cross and Mospeda (the 3 original source shows from japan). The various changes are more than enough to set Robotech apart as its own franchise to the point where the only thing it has in common with its source is the animation. That being said, it is not without its flaws and the first season, "The Macross Saga" adapted from "Superdimensional fortress Macross" usually receives the most flak. Most of what made this season so popular was what made the original Japanese version so popular even today. The realistic character interplay, the drama, the tragic portrayal of warfare, the moral messages about unity, all of it.Comparing "Robotech: the Macross Saga" to the original "Macross" anime series, it is easy to see why anime fans were upset with Robotech. The changes made could be seen as having lessened the impact of the original appeal; The script was only slightly better than your typical Saturday morning cartoon and the acting was very disappointing. Thankfully it got better by the later part of the season, most likely a result of the voice actors settling into their roles. However, that part of the season was marred by a painfully slow pace that felt unnecessarily stretched. Admittedly, some of the concepts like using pop songs to defeat an alien armada do seem very cheesy by today's standards and the romance does come across as a little forced and contrived (particularly the inter species romance between Max and Miriya which lands them getting married after only 1 "date".). Season 1 benefits from some great character designs and artwork but falls short in the animation department as most scenes look cheaply animated and unnaturally stiff even for a 1980s production. The apocalyptic conclusion of season 1 leads into Season two twenty odd years later where earth is still in the process of rebuilding. The heroes of the first robotech war have taken to the stars on a classified expeditionary mission and their children such as Dana, the daughter of Max and Miriya, are left to defend earth from a new threat, The Robotech Masters, the brains behind the zentradi armada. If anything, this second season is a vast improvement over its original series "Superdimensional Southern Cross". The acting is better, the script is more witty, and the character development seems more natural. Its status as the least popular season of Robotech is more a result of the original source's shortfalls. Also, its animation and art is the weakest among the seasons. 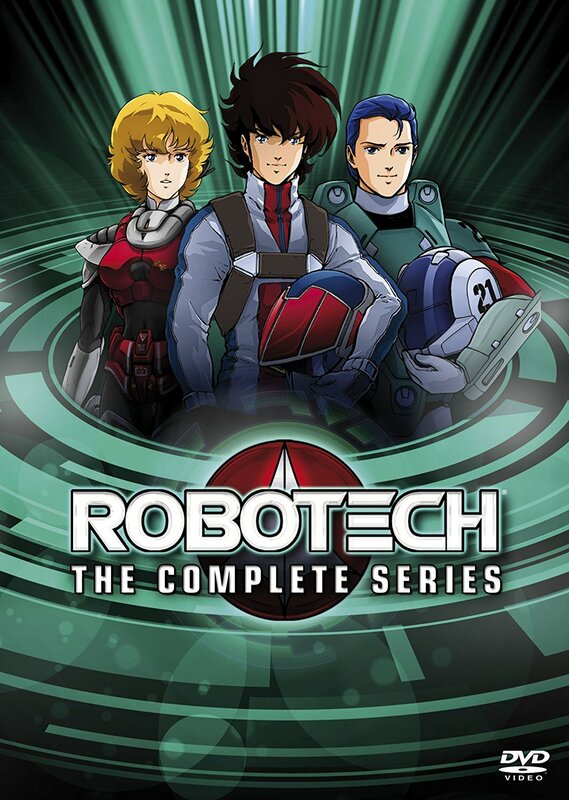 The third season "Robotech: The New Generation" is currently seeing a resurgence in popularity thanks to its modern day direct sequel "The Shadow Chronicles". New Generation is a thinly veiled allusion to the ancient Christian crusades to retake the holy land. Earth has been left defenseless following the previous two wars, allowing the Invid, the ancient enemies of the robotech masters, to conquer it. The now space-faring humans sent Wave after wave of unsuccessful attempts to retake their home planet. During one such wave, Scott Bernard gets stranded on earth and joins up with a team of misfits to journey to the main Invid hive, all the while fighting a guerrilla war to save mankind. By now, the acting in robotech has reached its peak. The dialog is so natural and the chemistry so real that one can forget that these are animated characters speaking. This last season benefits from having a balanced focus on both character drama and action unlike the second half of Macross saga. It also balances decent artwork with good 80s standard animation. Even with comparing Robotech to its original source materials, there were changes for the better. 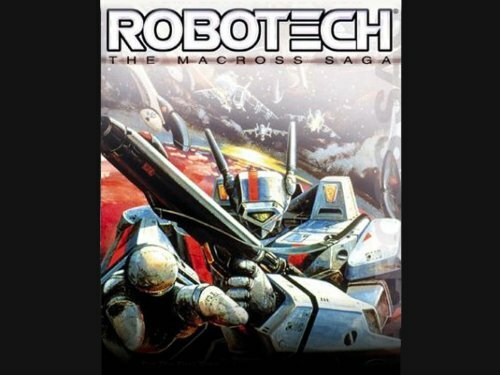 Southern Cross and Mospeda's respective disappearance from the minds of anime fans is testament to Robotech: The Masters and Robotech: New Generation's superiority over the little known original Japanese anime. It is by far the best and most coherent "edited" anime (compared to stuff like Battle of the Planets and voltron) and manages to live on even today. Arguably as popular as the Macross franchise, robotech has spawned numerous spinoffs in comics, games and novels. With a live action movie in the works as of writing this review, Robotech has surely come a long way despite the naysayers. I'm usually a purist with my anime, but I make no apologies for saying this- Robotech is my favorite TV show of all time, and my favorite anime. I won't get into the whole discussion of whether the translation butchered the original Japanese creators' intentions or not; I stand in awe with what Carl Macek was able to do with 3 distinctly unrelated series, and feel that the whole Robotech mythos is more engaging and fun than the original series. Robotech spans 3 generations of people battling to save earth. It was one of the first American cartoon series to have a continuing storyline, to have character deaths (and births!). It showed racism, interracial relationships, the futility but necessity of war... all in 1/2 hour weekday installments right before school. Plus, it had the coolest mecha around.